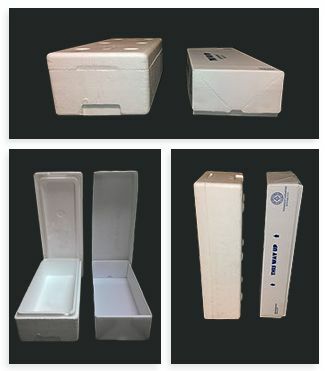 CoolSeal boxes are delivered flat, pre-folded and packed in bundles, to minimize delivery and storage costs. It is no longer necessary to reserve large areas of expensive floor space for styrofoam boxes waiting to be filled. CoolSeal boxes can be stored flat and constructed by hand on a just-in-time basis right at your packing stations. 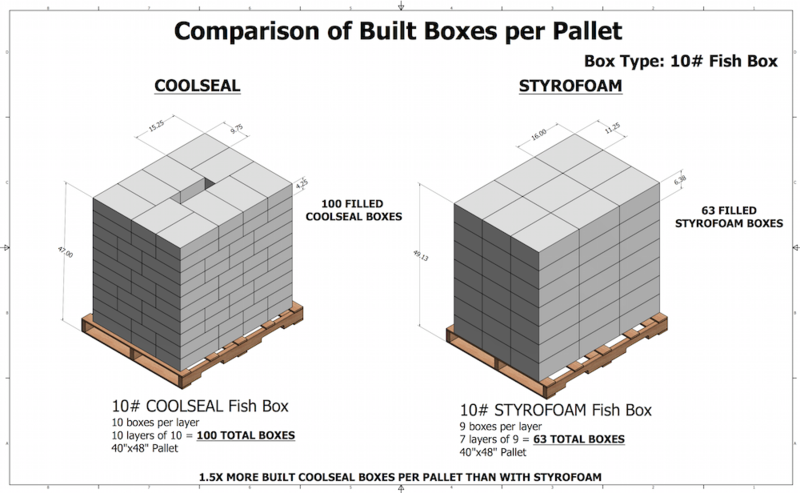 When compared to a styrofoam box with the same internal dimensions, an erect CoolSeal package is up to 35% smaller than the erect EPS boxes, resulting in storage and transportation cost savings. You can ship more packages with more product than with EPS and reduce shipping cost per pound. 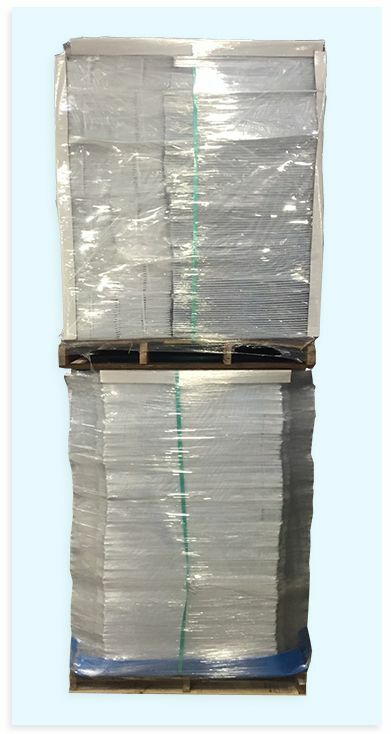 Our boxes not only take up less space than styrofoam boxes, they are considerably lighter than waxed corrugated alternatives to reduce freight cost. For example, our lobster box is approximately one pound lighter than it's waxed corrugated alternative. One pound per box offers considerable savings on shipping cost determined by weight. Also, because CoolSeal boxes are 100% polypropylene with no fasteners, they may pass through security in pallet form as opposed to a waxed corrugated box with staples that may pass through security individually.